Many of us see things we would like to change in our streets, our neighbourhoods or in our city but there is no forum which helps us to make those change happen ACTION UDAIPUR is such a initiative from the district administration. 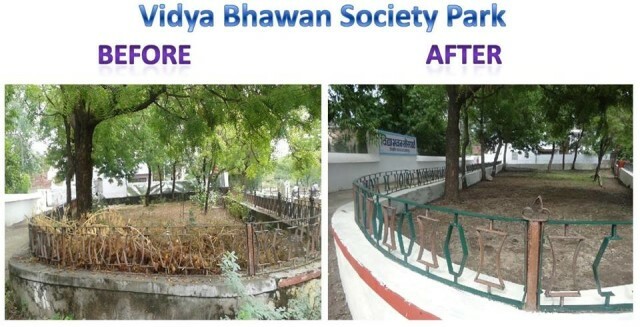 It’s a democratic movement for clean and green Udaipur through public contribution which empowers the community to own different projects in which a full support from the administration is provided to complete the projects. It is a practical movement where the community is aware to take action, encourage a groundswell of related activities and incorporate positive messaging on social graciousness and consideration for others. This public-driven and administration-supported effort started in the June, 2014. In just a short span of 3 months more then 50+ projects are being carried out which reflects the outcomes in the mind of local citizens. There seems to be a drastic change in learning of the public about the values of responsibility and care. 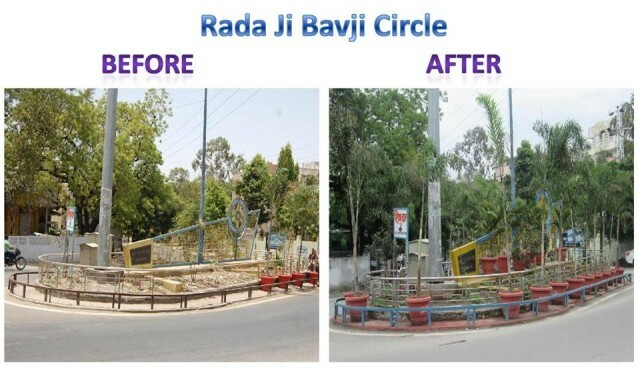 With the launching of this project the people are getting a chance to propose ideas to keep the city clean and green and then put their ideas into action and carry them out on a sustained basis to cultivate good habits. Social media is the basis of this project. 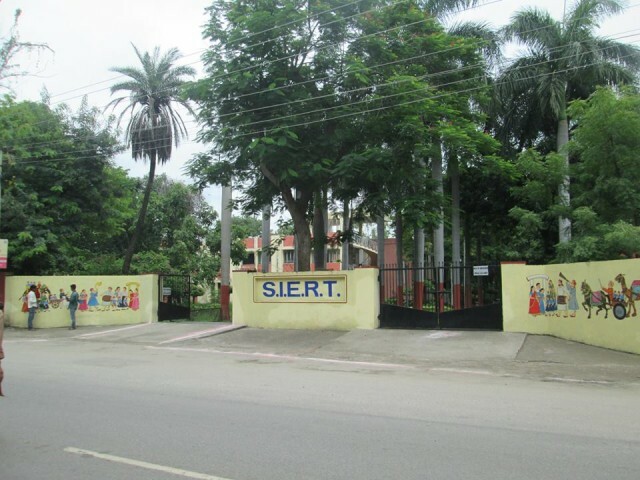 The simplest procedure to seek help from the administration is to email the content of the project including details of the work taken along with requirements from the administration. Every completed project with photographs are posted on the face book page of Action Udaipur so that others also get motivated. Up till now many people has reached the face book page and four thousand have liked it. To create awareness among people more than fifty road shows was conducted at schools, colleges, corporate organisations, NGOs. A large number of people were involved through this publicity campaign. It is a movement to move from being a ‘cleaned city to a truly clean city’. 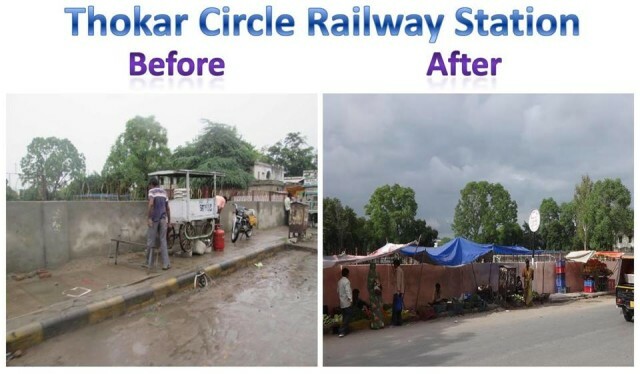 The Keep Udaipur Clean awareness drive aims to bring the cleanliness challenge to the forefront of the public’s consciousness, and will work in tandem with the Movement, supporting activities by the District Administration, UIT, Nagar Nigam and General public. 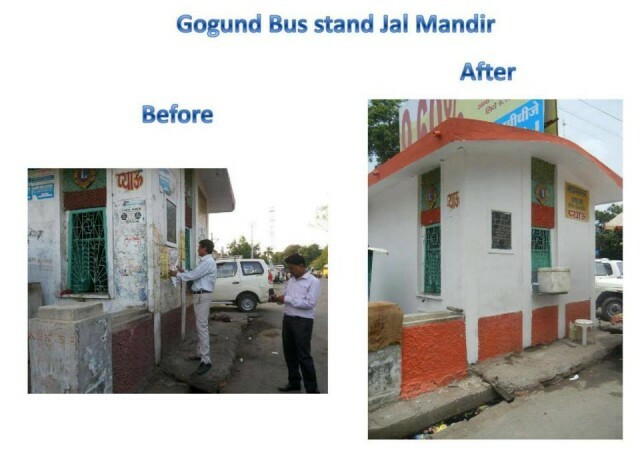 Public taking ownership and play a part in keeping Udaipur clean. So far a tremendous response was experienced from the private schools, banks, local residents, NGOs & many organisations. 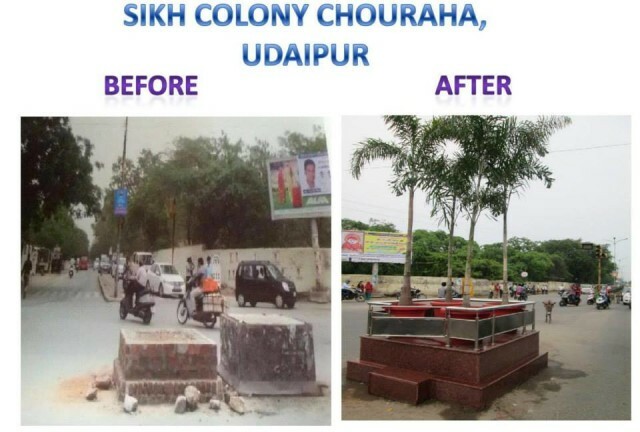 The projects completed so far are cleaning, colouring and renovation of the public parks, new look to the chaurahas and walls, cleaning the public toilets, removing posters from the bus stops and walls etc. There are more then twenty ongoing projects and many proposals are being received in which help from administration is yet to be given like paint, gloves, grooms etc. 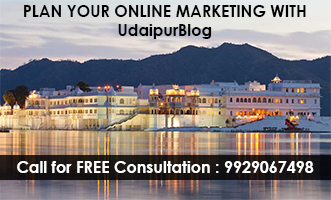 Pertaining to the attitude and perception of most Udaipur people, it is encouraged to change the mindsets that people have. The local citizens are urged to forge a new norm on public cleanliness and hygiene. With that, Udaipur will be able to move towards a more sustainable way of keeping the city clean and green, as more people develop the zero tolerance for litter attitude. 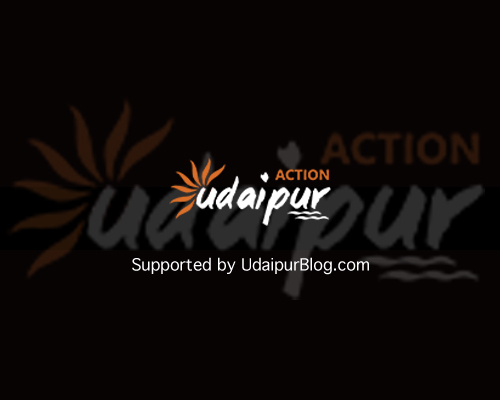 How to Join Action Udaipur? 1. Select a Place you want to Beautify. 3. Thats All !! 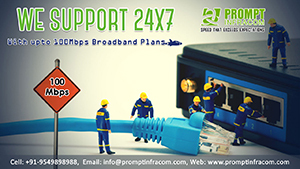 The Administration will connect to you regarding your Project and provide the necessary help. An Udaipur district administration initiative to help citizens turn ideas into action. Solve real problems! Make new friends! Enliven your communities!